As the year comes to an end, it brings with it a nip in the air. The cool breeze in the mornings, the wonderful comfortable warmth of the sun during the day and the cold evenings are a welcome change from the sweltering summer! While we get ready for winters and stock up on warm clothes, it is also the time to pay extra care and attention to our dogs. As the temperatures fall, our dogs are more susceptible to falling ill due to the sudden change in the weather. Dogs cannot express what they are feeling, so pet parents will have to be a tad careful especially about the change in temperatures and dietary requirements of their pooches. It is quite understandable that during winters it is difficult to get up early in the morning to go out for a run or a jog. Though we can probably do away with in house exercises like yoga, our pooches will probably not be happy without their daily exercises. A regular exercise regime will help keep the dog healthy and active. It will also help in maintaining their calorie intake and in weight management. A good jog / run with your pooch will be a good way to stay fit and both of you can enjoy the magical wonderland of the winters. During winters, many a times the activities of the dogs get restricted due to the cold outside. Due to the decrease in the level of exercise, the dog will burn less calories than earlier. It will be a good idea to give a fibre rich diet to the dogs so that it regulates their bowel movement and also keeps the extra calories at bay. Also, in summers we have the tendency to give cold milk / curd to our pooches. During winters, heating up the food a little will be beneficial for the dogs. It will be imperative to keep the water and food bowls clean and also to keep the dog well dehydrated. In winters, it becomes all the more important to regularly groom your pooches. Once your dog is back from his / her walk, using a soft cloth and warm water, wipe and clean the paws and the paw pads. Use a pet paw balm or cream to keep them soft and clean. In case the temperatures are really low in your city, making your dog wear doggie booties will be a good idea to save the paws from extreme cold. Regularly brush the fur of the dog and check for dryness or scaly skin that may be a result of the winters. Other grooming activities such as cleaning of ears, trimming of nails and dental cleaning should done more regularly in winters. While bathing a dog in winter, do make sure that it is being done when there is enough sun so that the dog dries up quickly. If a grooming service is being employed, do ensure that the dog is completely dry so that there are no chances of fungal infections and the dog does not catch a cold due to the damp fur. You can use a blow dryer or a reverse vacuum cleaner (at the lowest level) to dry your pooch, especially the insides of the paws. If your pooch sleeps on the floor, make sure that he / she has a nice warm bed to sleep on. During winters the floor becomes cold and can make the dog ill. The bedding especially sheets and pillows should be washed and changed regularly to avoid bacterial accumulation. If you have a dog that spends most of his / her time in the terrace / balcony, you would have to ensure that there is a proper shelter to protect the dog from the cold wind. Keep the dogs inside to shield them from the extreme winter temperatures. If you are a pet parent to a senior dog or a dog with health issues, you will have to be extra careful during winters. Dog with joint problems such as hip dysplasia or arthritis will face more discomfort and joint pains. Pet parents will have to ensure that there is sufficient exercise provided to the dog and that they are provided with a warm bedding. There is a common myth that just like humans, dogs too need warm jackets and caps to stay warm. The truth is that not all dogs need warm clothing. 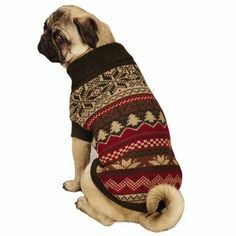 Only dog breeds which have short fur such as Chihuahua, Italian Greyhounds, Poodles, Beagles, Dachshund, Miniature Pinschers, French Bulldogs, Whippets, Pugs, Boxers and Pekingese, Rajapalayam, Mudhol Hounds need warm clothing. Other dog breeds such as German Shepherds, Golden Retrievers, Dalmatians, Labrador Retrievers, Cocker Spaniels, St. Bernards, Huskies, Tibetan Mastiff, Rottweilers have two to three layers of fur and do not need warm clothing unless the temperatures fall below freezing points. Have a wonderful winter with your beloved pets.